Discovery’s DIY Network is out and Chip and Joanna Gaines’ network will soon be in! Discovery Communications announced earlier this week that the former Fixer Upper stars will be getting their cable TV channel that will take over the spot that the DIY Network currently occupies. “Discovery, Inc. and Magnolia, the home and lifestyle brand led by the couple, announced that in summer 2020, the Gaines’ new network will replace Discovery’s DIY Network, currently in more than 52 million homes,” a press release stated. The network will continue to focus on Chip and Joanna’s bread and butter: community home, garden, food, wellness and design. Joanna announced the venture on her Instagram after the news originally broke. 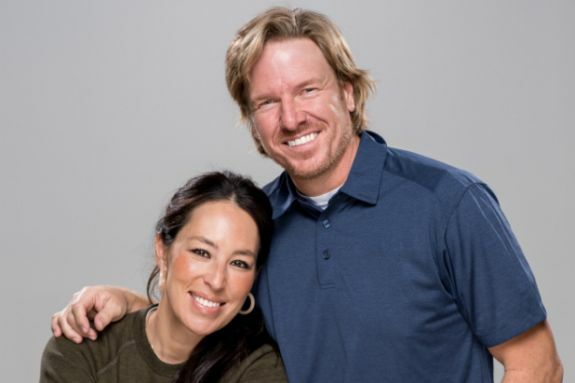 Chip and Joanna became household names after ‘Fixer Upper’ premiered on HGTV in 2013. It was the highest-rated series on the network before the couple ended its run in 2017. Their still-unnamed channel will have the “Chip and Jo” touches their fans expect, People stated. Chip and Joanna will, of course, serve as Chief Creative Officers for the venture. David Zaslav, CEO of Discovery, also released a statement about Chip and Joanna. Chip and Joanna also released their own statement discussing how excited they are for their new venture. Chip expressed his excitement about their new venture. Yuck. So over these two. Looking forward to this but what about the show that are on DIY now? Will they remain? I’m getting sick of seeing them everywhere. Hgtv still shows reruns, their products are all over targets, they are in people magazine a lot, ect. Their one style isn’t that great. I can’t believe they are getting their own freakin network. Plus, I thought they stopped their show to spend more time with their kids. An entire network? Because they had one successful show for 4-5 years?…. Sad. I was Ok with watching them on HGTV as part of the line up, but won’t be watching them as they take over Discovery DIY. Why is it that nowadays people think we only want to see one person or one team? I know I might be different than the rest of you, but when one thing dominates a channel, I immediately lose interest. I do not want only one point of view. Within five years Joanna and Chip are going to be so passé, if they are not already. Do you all want to decorate your homes so that they are completely identified with one decorators’ vision? Well shiplap may be awesome when applied In an area where it makes sense, I really don’t see it and several other states. Let’s not All be lemmings, people!